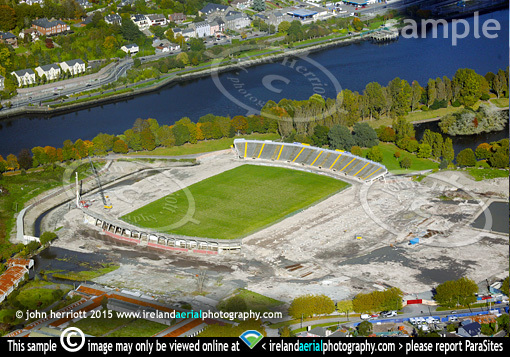 Pairc Ui Chaoimh aerial photo 2017 of construction progress, Blackrock,Co Cork. GAA stadium now demolished, Cork. stadium at the Marina and Atlantic pond, Blackrock, Cork. Pairc Ui Chaoimh 2016 construction progress. File # 1dsm3_f6_3590 New GAA stadium in Cork.